Theoretical explication of a growing body of empirical data on consciousness-related anomalous phenomena is unlikely to be achieved in terms of known physical processes. Rather, it will first be necessary to formulate the basic role of consciousness in the definition of reality before such anomalous experience can adequately be represented. This paper takes the position that reality is constituted only in the interaction of consciousness with its environment, and therefore that any scheme of conceptual organization developed to represent that reality must reflect the processes of consciousness as well as those of its environment. In this spirit, the concepts and formalisms of elementary quantum mechanics, as originally proposed to explain anomalous atomic-scale physical phenomena, are appropriated via metaphor to represent the general characteristics of consciousness interacting with any environment. 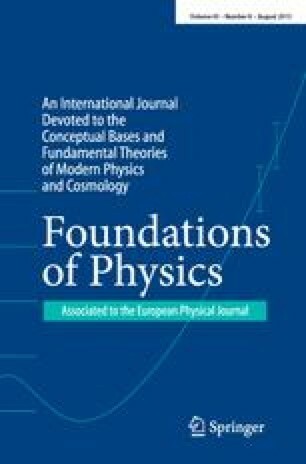 More specifically, if consciousness is represented by a quantum mechanical wave function, and its environment by an appropriate potential profile, Schrödinger wave mechanics defines eigenfunctions and eigenvalues that can be associated with the cognitive and emotional experiences of that consciousness in that environment. To articulate this metaphor it is necessary to associate certain aspects of the formalism, such as the coordinate system, the quantum numbers, and even the metric itself, with various impressionistic descriptors of consciousness, such as its intensity, perspective, approach/avoidance attitude, balance between cognitive and emotional activity, and receptive/assertive disposition. With these established, a number of the generic features of quantum mechanics, such as the wave/particle duality, and the uncertainty, indistinguishability, and exclusion principles, display metaphoric relevance to familiar individual and collective experiences. Similarly, such traditional quantum theoretic exercises as the central force field and atomic structure, covalent molecular bonds, barrier penetration, and quantum statistical collective behavior become useful analogies for representation of a variety of consciousness experiences, both normal and anomalous, and for the design of experiments to study these systematically.